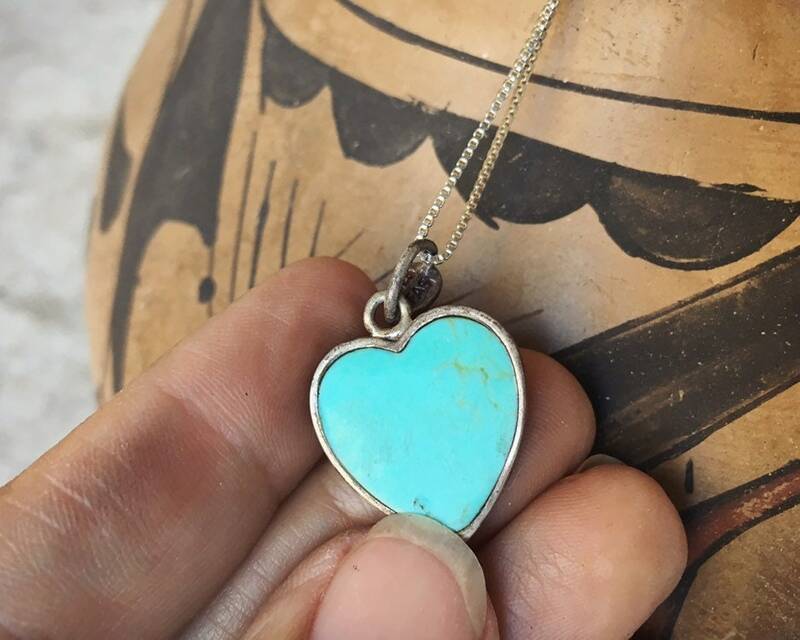 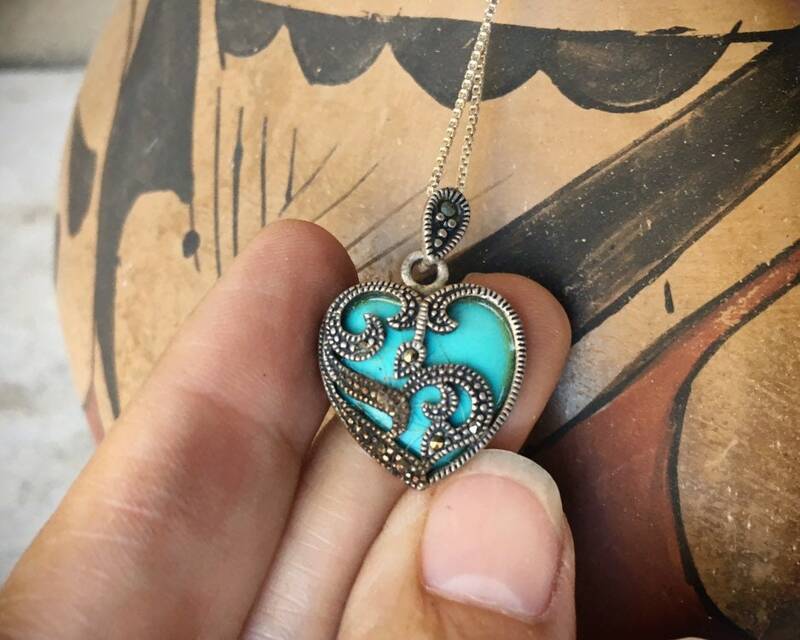 Such a gorgeous pendant, the center a stablized turquoise cabochon shaped like a heart around which is a frame with dark sparkles of marcasite. 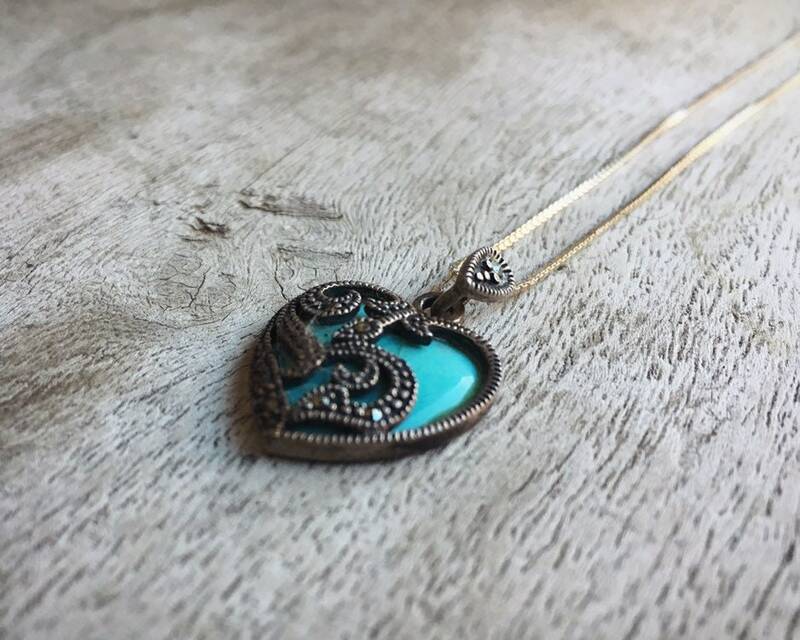 A great piece for the person who loves the color of turquoise yet the elegance of marcasite. 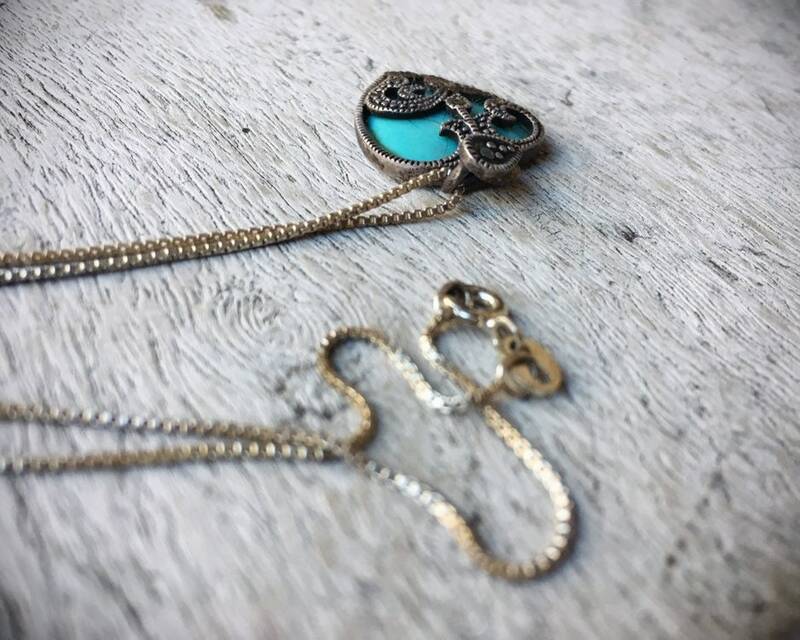 On the original fine silver box chain. 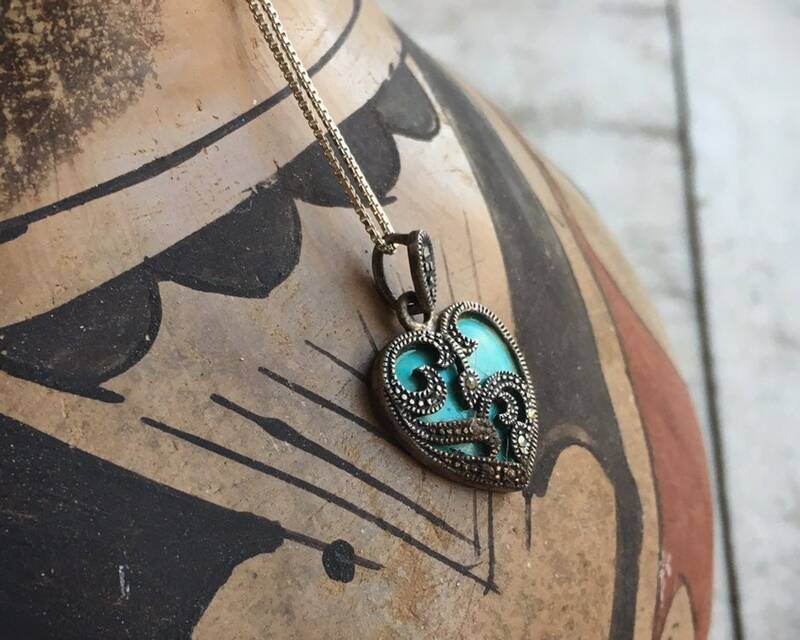 The locket measures just over 5/8" in both directions, and closer to 1" long when including the marcasite encrusted bail. 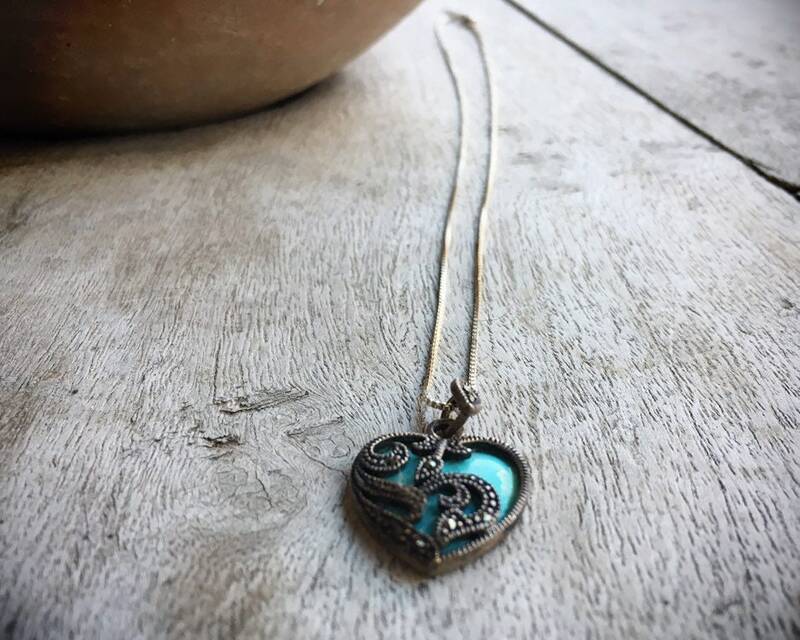 The fine silver chain measures 18". 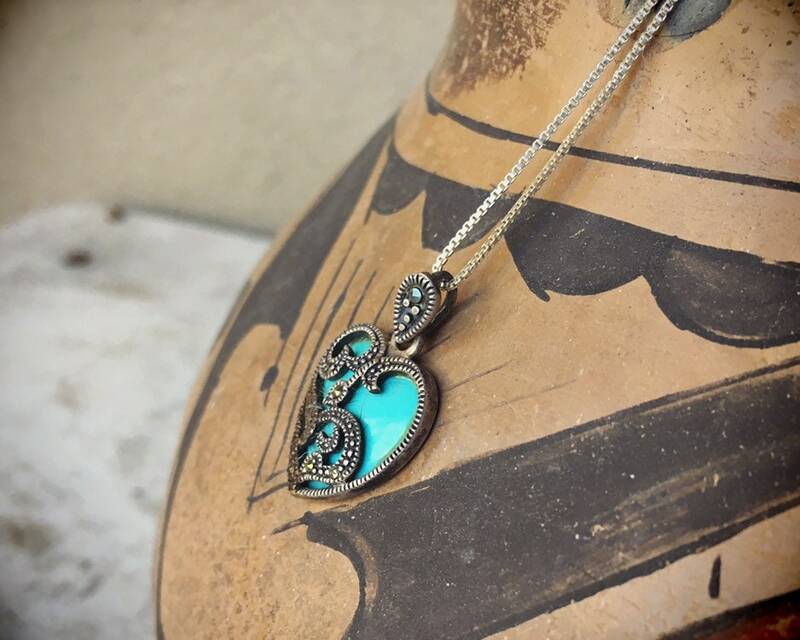 Beautiful blues for the romantic person.